Welcome to Heinkel Tourist Dot Com! 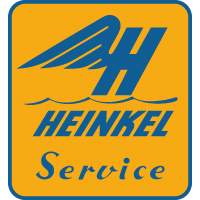 The North American Heinkel Registry is dedicated 100% to the Heinkel Tourist motorscooter. Heinkel owners in North America are a rare breed. We have few Heinkel resources readily available to us. Several fantastic Heinkel Scooter sites currently exist, however most are written in German. I created this comprehensive resource for all English-speaking Heinkel owners. I attempt to update this site on a monthly basis. If you have a suggestion, please e-mail it to me.